MORRISANIA, Bronx (WABC) -- Police are looking for the suspect who slashed a man in the face in the Bronx early Sunday morning. At about 3:40 a.m., a 32-year-old man was walking on the street in the Morrisania section when he was approached from behind by someone he said he doesn't know, and was slashed in the face. It happened in front of 920 East 173rd Street. The victim was taken to St Barnabas with non-life threatening injuries, bleeding from the face. The suspect fled the scene in an unknown direction. 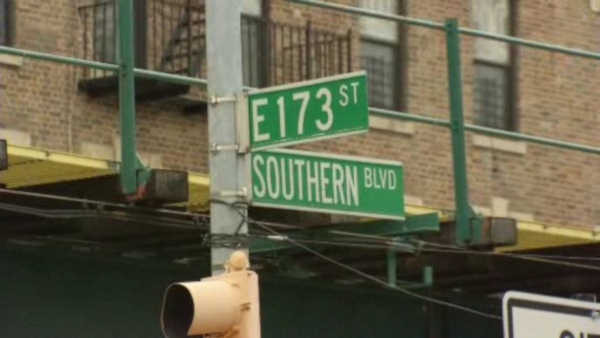 Also Sunday morning, two men in their 20's were stabbed after leaving a party in the same neighborhood, on East 173rd Street. One was stabbed in the left torso and the other in the stomach. Both are at North Central Bronx Hospital with non-life threating injuries. Police say three men fled the scene. All five were at the party together. It is not clear whether the two incidents are connected.